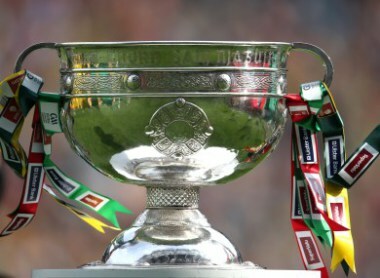 Tomorrow afternoon, Croke Park plays host to one of Gaelic football’s most storied rivalries; Dublin and Kerry. Despite having only met each other five times since the turn of the century, the rivalry between the sides has in no way diminished. 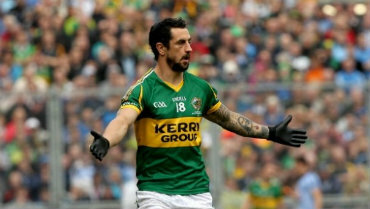 In two of the five meeting between the sides since the year 2000, Dublin found themselves on the receiving end of very heavy defeats as Kerry rampaged their way through the decade winning five All Ireland Titles, including two in a row in 2006 and 2007. However, the tables have dramatically turned since then. Dublin head into tomorrow’s semi-final clash as strong favourites to progress to this year’s All-Ireland Final having reached this penultimate clash with relative ease as well as having the experience of defeating Kerry in the 2011 All-Ireland Final, which was their first senior title in sixteen years. Much like Mayo’s run of results approaching their semi-final with Tyrone, many argue that Dublin have yet to be tested in this year’s championship. Yet, with albeit convincing victories over Kildare, Meath and Cork; it is fair to say that Dublin have found themselves up against more stern opposition than the Connacht champions. In what is manager Jim Gavin’s first year in charge, Dublin have looked very impressive going forward and in their run to the Leinster title, they recorded an impressive average winning margin of 13 points over three games. Despite not finding it equally as straight forward in their quarter-final meeting with Cork, they still looked very comfortable and seemed to never really get out of second gear against the Rebel County, winning 1-16 to 0-14. 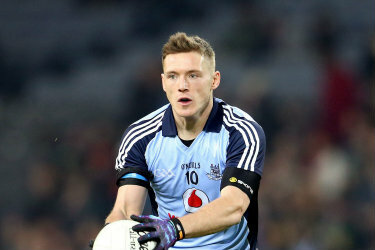 The introduction of newcomers such as Ciaran Kilkenny and Paul Mannion have breathed new life into a Dublin team that failed to build on their 2011 All Ireland win in last year’s championship, while the likes of two time All-Star, Paul Flynn (below) have continued to progress. Mannion and Kilkenny’s emergence as potent workers and, crucially, regular scorers has eased the pressure on forward Bernard Brogan; a player who has struggled for any kind of consistency this year. The sheer pace and stamina of the above mentioned trio of young players, as well as the reliable Dean Rock coming off the bench, has seen Dublin overpower the opposition particularly in the last 20-25 minutes where the Dubs have been able to pull away into unassailable leads, turning closely fought encounters into convincing wins. This is the main source of ammunition for those writing off Kerry’s chances before a ball has been kicked. Many pundits are arguing as to whether the old legs of Kerry will be able to stand the heat for 70 minutes, especially with the enviable quality of resources at Dublin’s disposal should they need fresh impetus in attack. Kerry’s run to this year’s semi-final has not been as convincing. Despite winning their 74th Munster title, the Kingdom have rarely looked at their scintillating best, apart from a first half blitz against Cork in the provincial final. An uninspired quarter final victory over Cavan did little by way of inspiring confidence among supporters that Kerry will be able to match the pace and youth of this Dublin side. However, this tie is eerily similar to the quarter final meeting between the sides in the Championship of 2009. At that time, Dublin were hot favourites to advance against a Kerry team many thought of as ageing and tired. Yet, from the first whistle Kerry launched a relentless assault on the Dublin back line that lasted for the duration of the seventy minutes, with the Kingdom running out winners by an astonishing score-line of 1-24 to 1-07. This proved that it is nothing but pure folly to write off any Kerry team, no matter what the form guide suggests, particularly in the backyard of their fiercest rivals. The role of underdogs will suit Eamonn Fitzmaurice’s men perfectly and the way in which his side have had a relatively low-key build up to this semi-final clash has left many wondering what the Kingdom could be plotting come tomorrow at 3.30. This year has intriguingly seen star man Colm Cooper playing in more of an anchor role at centre-forward, as opposed to his normal corner forward position. While there has been rumours of a move back into corner forward in an effort to pressurise a questionable Dublin full back line, if indeed he does line up at centre-forward tomorrow afternoon, then his battle with half back Ger Brennan could be the deciding factor in this encounter. With Cooper waiting to pounce and dictate play from deep, Brennan and the rest of his half-back line will perhaps have to be more cautious when it comes to their usual relentless runs forward, especially given the presence of Declan and Darran O’Sullivan in a forward line that can also call upon Kieran Donaghy. The tireless energy of Anthony Maher, Donnchadh Walsh and particularly Paul Galvin (below) will attempt to stifle any rhythm Dublin will attempt to create and how long they can sustain their usual high work-rate will determine whether Kerry have any chance of progression.